After a fairly hefty reworking, Hyundai's 2014 Elantra 5-passenger midsize sedan stands poised to recapture a lion's share of the commuter- and family-oriented automobile dollar. After a fairly fast start in 1992 and then a few years toiling in relative ho-hum-ness, this rejuvenated 4-door unveils a new up-powered trim, some added curves and a few upgrades to amenities, just the ticket it needs to rise, like the proverbial cream, to the top of the midsize-market milk pail. Anyhow, in plain language, the old Elantra GLS base trim has been replaced by the new-for-2014 SE, while a brand-new Sport edition opens in the midlevel trim slot. The upscale Limited, meanwhile, remains the flagship of the fleet. Oh, and prospective tire-kickers looking for any of the 3 trims should be able to test their toes early in 2014. Power-wise, the SE and Limited ought to once more pack a 145-hp, variable-valve-timed (VVT) 1.8-liter inline 4-cylinder (I4) engine that’s mated with both the standard 6-speed manual transmission in the SE or the 6-speed shiftable automatic that comes standard in the Limited and undoubtedly remains available to the SE. This 4-banger/6-speed combo puts out 130 lb-ft of torque and sports mileage estimates of 28 mpg city/38 highway. Additionally, each SE and Limited that comes off the line is equipped with Hyundai’s Driver Selectable Steering Mode (DSSM), allowing for mood swings that encompass Normal, Sport or Comfort driving expectations. The new and nimble 2014 Elantra Sport, meantime, totes a 2.0-liter I4 that’s good for 173 hp and 154 lb-ft of torque under the management of the standard 6-speed manual transmission or the available 6-speed shiftable automatic. Mileage figures from this bigger powerplant, of course, will drop significantly to an estimated 24/35. Expected appearance features in the debuting SE should include new-for-2014 15-inch aluminum wheels, as well as the old standby, heated power-adjustable mirrors. Inside, look for cloth upholstery, full power accessories, cruise control, telescoping tilt-wheel steering and air conditioning. A 172-watt audio system, meantime, is claimed (by a number of reviewers) to be tweaked a bit for 2014, though it doubtless remains carrying 6 speakers and satellite radio. The just-introduced Sport is touted to carry a sport-tuned suspension hauling such delivered equipment as 17-inch alloy wheels, upgraded headlights, LED driving lights and taillights, a rear spoiler, a rear-view camera and upgraded interior lighting. Additionally, a 4.3-inch infotainment display debuts in this new arrival to the Elantra lineup. Reflecting its upper-class upbringing, the flagship Elantra Limited adds in new 17-inch aluminum wheels and introduces standard Blue Link smartphone apps to the already impressive goodie bag. Of course, leather upholstery remains standard, as does a power sunroof, leather-wrapped steering wheel, heated front seats and a power-adjustable driver’s seat. Options are headlined by a brand-new navigation system that’s scheduled for the high-end Limited and flaunts a redesigned 7-inch touchscreen display, a 350-watt audio upgrade and dual-zone automatic climate control. Again, the re-monikered SE is supposedly eligible for much of the standard bling in the Limited, while further noteworthy options in all trims should include remote engine start and upsized alloy wheels. Notable standard safety equipment for the revamped 2014 Elantra gathering is expected to include, once again, 4-wheel antilock brakes (ABS), traction and stability control, front and rear head airbags, active front headrests and front side-mounted airbags. All trims should remain carrying a remote antitheft alarm, while the Limited (and perhaps the Sport) is expected to return with turn-signal-integrated mirrors. Lastly, the new Sport trim is slated to tote standard front fog/driving lights. 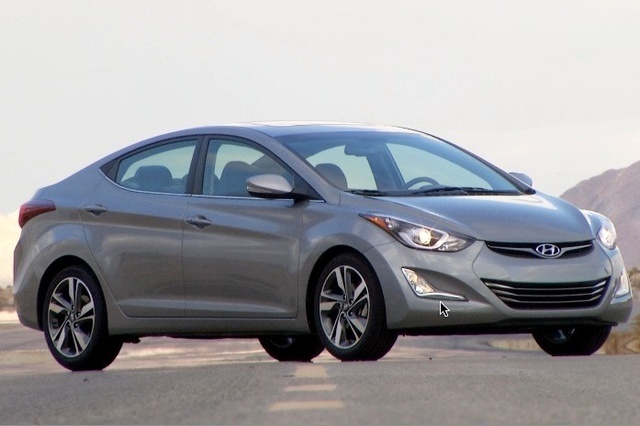 What's your take on the 2014 Hyundai Elantra? Bluejay123 Car has begun to stall upon start-up over the last 6 weeks. Brought it to Hyundai and they acknowledged the problem but are unable to identify the issue. Hyundai Canada has also acknowledged that the problem has been identified in other cars of the same model year. I have been informed that I need to allow the car to idle for 30 seconds before placing the car in gear. Obviously I'm a little concerned about this problem getting worse as it has not yet stalled while the car has been moving at high speeds. However, some owners have experienced that problem. Users ranked 2014 Hyundai Elantra against other cars which they drove/owned. Each ranking was based on 9 categories. Here is the summary of top rankings. 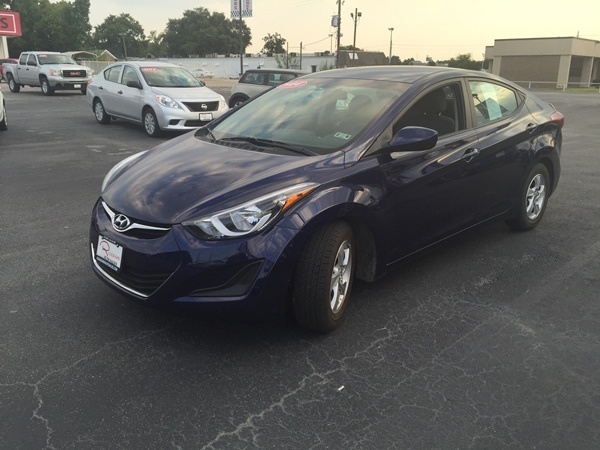 Have you driven a 2014 Hyundai Elantra?